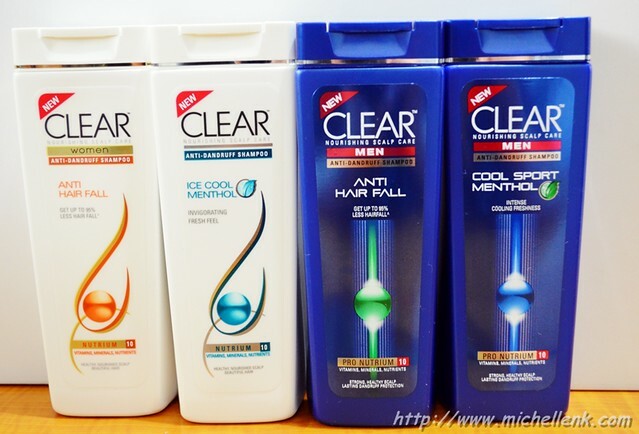 Clear is Unilever's leading Anti-Dandruff Shampoo Brand. Since its first launch in 1972 in Asia, the clear formulation has continuously evolved with intensive research and clinical trials conducted by scientists at the Clear Paris Institute. Recognizing the different needs of males and females scalps, Clear scientists have developed the first ever breakthrough dual gender scalp nourishing formula. With an constant focus on leading edge technology, Clear is pegged as the world's leading scalp care shampoo and marks its strong foothold in 35 markets with plans to grow to a 1 billion brand soon! One of the world's largest networks of dermatologists, The International Academy of Cosmetic Dermatology (IACD) has identified Nutrium10 as the scalp care technology that will lead the paradigm shift in scalp care management. 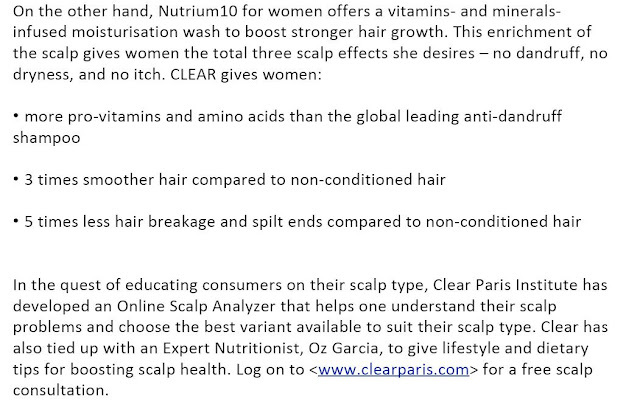 Unlike other Anti-Dandruff shampoos that are washed away solutions, the new Clear Nutrium10 treats the root cause. It not only infuses the scalp with nutrients 3 layers deep, (at the surface layer), but also help to rebalanced cell proliferation processes to restore the scalp to its healthy condition! With Pro-strength Ginseng Technology. For weakened hair fiber. Strengthen your hair and defend against hair loss. I passed this bottle to one of my male friend to test and he told me that most guys out there would love the smell, as its has a rather masculine kind of scent which most guy would accept. He squeezes the size of a One-Dollar coin and its more than enough for his hair. With active menthol. For all scalp and hair types. Ultimate Anti-dandruff refreshment. With cooling menthol. For all scalp and hair types. Refreshes and revives scalp and hair with an invigorating burst of menthol freshness. With Hair Lock Technology. For weakened scalp and hair. Strengthens from the root to tip and increases hair’s defense against hairfall* and breakage. Log on to www.thesamplestore.sg and redeem the samples! There are a total of 7 types for redemption!! Grab it now before it's Out Of Stock. 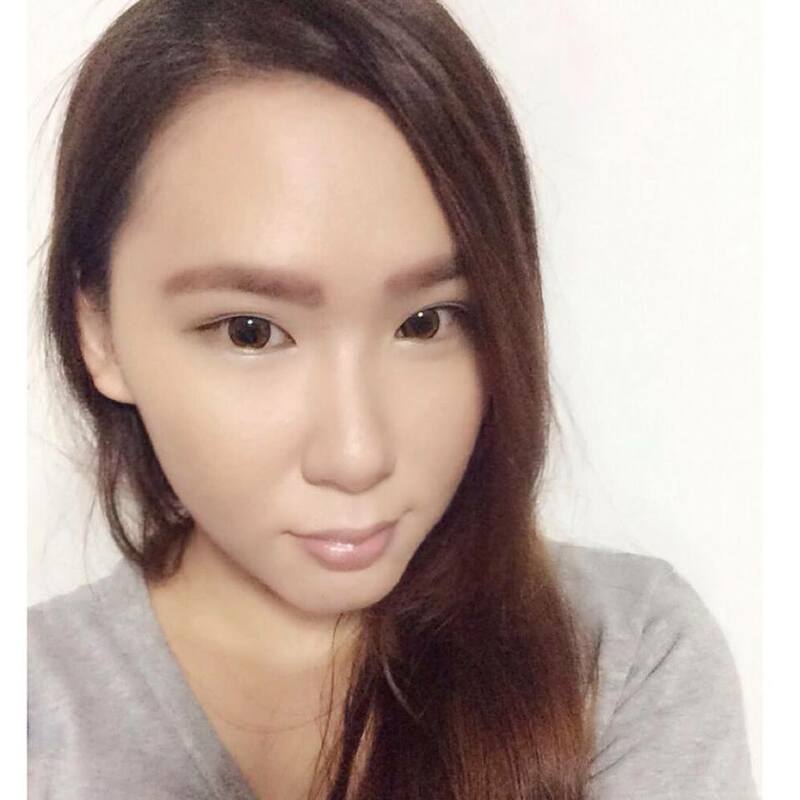 Submit your individual shampoo review at www.thesamplestore.sg for any of the 7 types of shampoo listed above and 3 best reviews will walk away with a CLEAR product hamper worth $50. Contest ends on 31st December 2011.